1. Do I need to be a PayPal user to enter an event? Answer: No! You do not need a PayPal account, you can pay with a credit card, debit card or electronic e-check. Select Add Another Entry to add additional participants or to add another event so that you can do a combined check out. If you are done adding entries, then go ahead and click on Make Payment now. 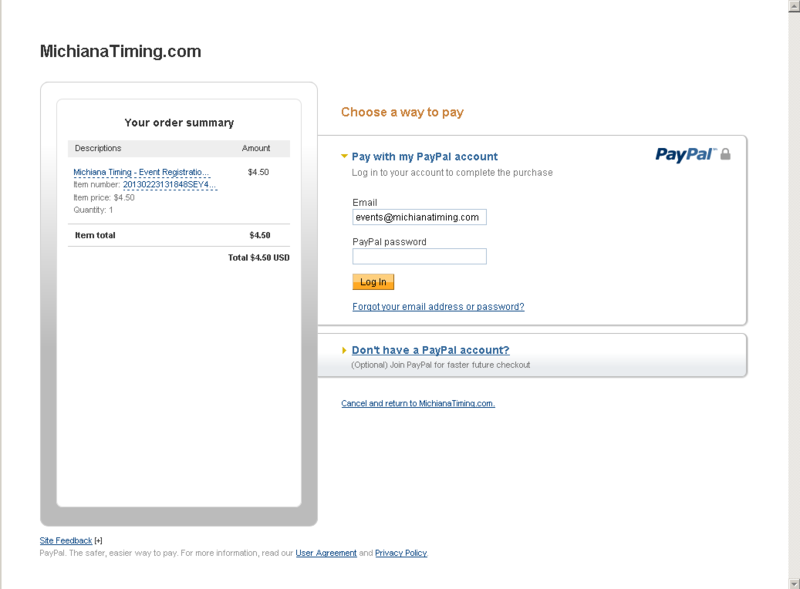 That will bring you to the main page of PayPal. We use PayPal as the payment gateway because it is one of the most secure on-line payment sites availalbe, however you DO NOT NEED TO BE A PAYPAL ACCOUNT HOLDER TO USE OUR SYSTEM. You can use your debit, credit, checking or savings account to make a payment. b. 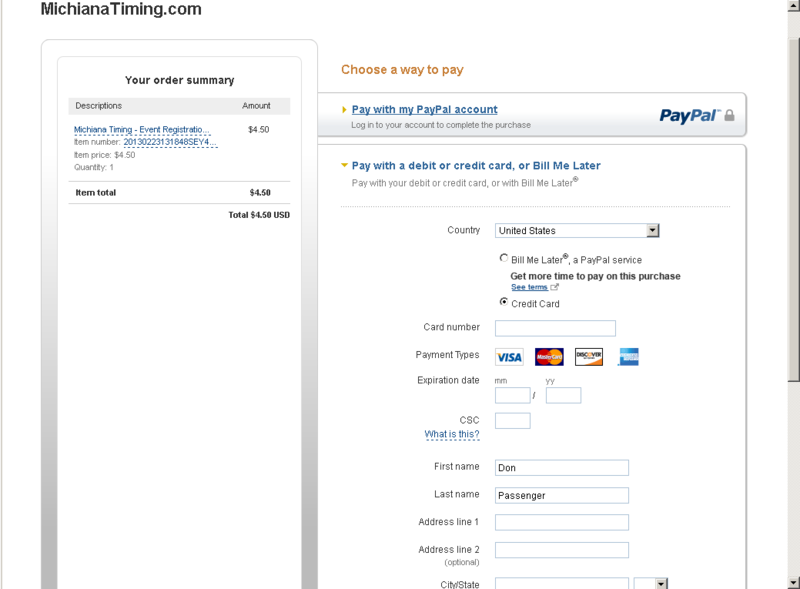 Don't have a PayPal Account - choose this option to use your credit or debit card! You will then be offered the option of creating a PayPal account while checking out, but you can decline and simply check out using your debit or credit card, or any other form of accepted payment. If you have any other questions please contact us and we are glad to help you.